Two masked men stole a customer's phone during a robbery. Police are still looking for them. 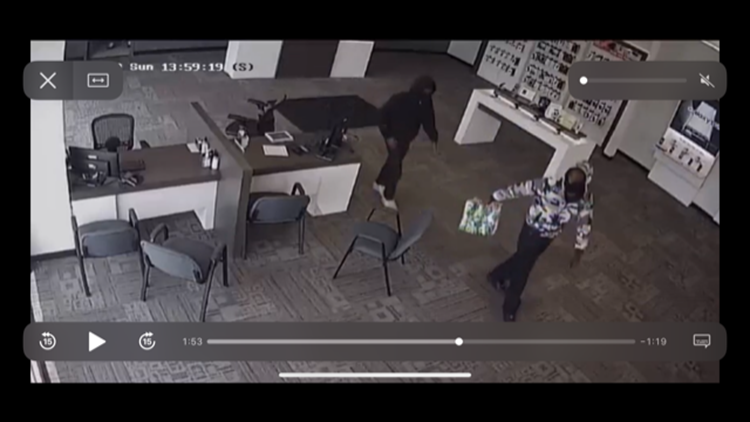 Suffolk Police need help identifying two men from surveillance footage of a Verizon store robbery. Two armed men wearing masks walked into the College Drive store on April 14. The suspects then demanded cell phones, according to police. One customer and employee were in the store during the robbery and suffered no injuries. The suspects took the customer’s phone and left the store before police arrived. Suffolk Police are asking anyone with information about the robbery or the identities of the suspects to contact them. Tips can be submitted online on www.p3tips.com or visit the Suffolk Police Department website at www.suffolkva.us/spd.